Non surgical hair replacement Liverpool is worth exploring as many of our clients soon realise it is the answer to their hair loss problems. Here at Hough’s we have over 25 years experience providing the non surgical hair loss treatment with hair systems. We ensure each and every client leaves our salon with a full head of great looking hair – non surgical hair replacement Liverpool is worth exploring as many of our clients soon realise it is the answer to their hair loss problems. The video above is more than worth a watch as it shows the process involved – from the initial measuring stage to the final cut and style of the hair system. There are different options available – what we provide is non surgical hair system – it’s a safe no risk option and the answer to many peoples hair loss across the UK. Many of our clients have tried sprays, tablets and even considered surgery!! – try us and find out more about hair replacement Liverpool. We offer free consutlations where we explain how hair replacement Liverpool works (it’s very simple!) – take a few measuements, discuss you hair and see what sort of style you are looking to achieve. It’s all relaxed and in a private cubicle and we’ll get you a coffee. You can either leave the salon and have a think or if you linke what you see and hear we can progress to the next stage. This involves matching you non surgical hair replacement system Liverpool to your own hair density, colour and the shape of the balding area where the system is to be fitted. 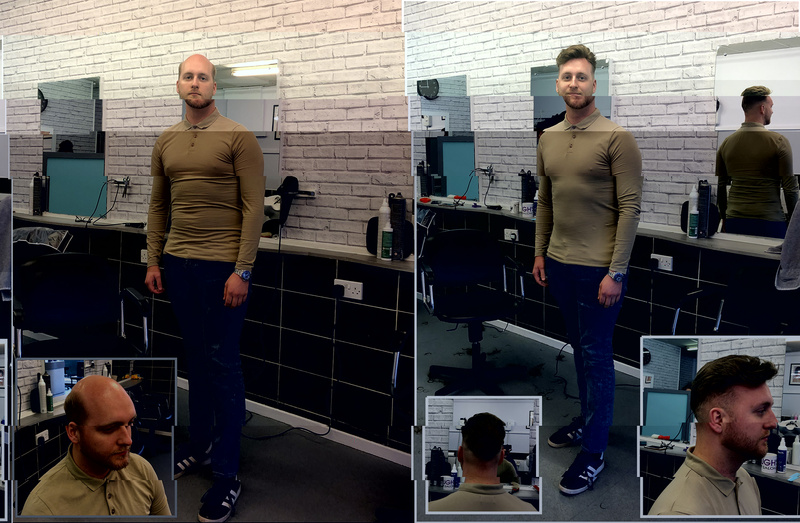 If you are looking to get a made-to-measure system then we can take a mould of your head also at this stage. A stock system can be ordered and ready for fitting within 7 days. The next stage is the best bit! – you visit us and we fit, cut and style your system. The best way to explain this is to watch the video above.Basically the system fits very secure to the area of baldness and is blended and integrated with your existing hair (maybe around the back and sides) to create a full head of hair. You then leave the salon with a full head of hair no more hair loss or baldness. We are in Wolverhampton – and have been for 25+ years. Clients visit us from all over the UK and we are sure to be more than worth the journey down the M6. We have parking available and you can easily walk from the main train station.